Our Guide to Planning Ahead is intended to help you think about your pet’s final arrangements and to make the most appropriate decisions regarding your pet and your family’s wishes. Doing so will help ensure that your pet receives the same loving care and attention to death that you provided for them in life. Certainly, none of us wish to think of that day. However, careful and conscientious planning ahead of time will give you and your family the opportunity to discuss how you will care for your pet’s physical remains, memorialize your beloved pet, and celebrate the life that you all shared together. Through advanced planning and careful consideration of all available options, you and your family will be confident with the decisions that you make when that difficult day arrives. Knowing exactly what to do will not only ensure that your pet receives the highest level of respect and care in a very timely fashion, but it will also help eliminate the stress and uncertainty that can accompany a loss. This peace of mind is the ultimate support you will need and appreciate as a grieving pet parent. Once you have pre-planned your pet’s final arrangements and have completed this guide place it in a safe place for you to bring to your Pet Passages funeral home when you need our services. Or, simply fill out the on-line form below and hit send at the bottom of the form to transmit the information to us for safe keeping. That way, when the day comes when you actually need our services and assistance for your pet’s final arrangements, we can simply access your file to review what you have carefully and thoughtfully decided and move forward with your wishes. Truly Private Cremation - is a cremation procedure in which only ONE pet's body is present in the cremation chamber during the cremation procedure and the cremated remains of that pet are returned to the owner. Semi - Private Cremation - is a cremation procedure during which several pets are present in the cremation chamber. These pets are separated/segregated from each other by a physical barrier during the cremation procedure and upon the completion of the cremation the cremated remains of the specific pets are returned to their owner. (This is generally the only type of cremation procedure that other pet cremation providers offer that allows for the return of a pet's cremated remains. The other providers commonly refer to this type of cremation as an "Individual or Segregated Cremation". Because of this, some people mistakenly interpret and/or represent this to mean only one pet will be cremated at a time, in other words private. Please know that individual does not mean private). Also Note: While we exercise every precaution and use a very specialized segregation method to keep pets separate from one another during this type of cremation procedure the possibility of active commingling of cremated remains can occur during a Semi-Private Cremation, Aka: Individual/Segregated Cremation. Many families want to have that one last time to visit their pet after death, a visitation or wake if you will. While this may seem like a trivial thing - or possibly something that you consider morbid and odd, this one last time with your pet is valuable time spent. When the family pet dies, it is often the child's first exposure to death and can cause him or her to feel confused and upset. This gathering of family during this visitation helps the child to understand death, supports them in their grieving process and is used as a valuable tool for parents in explaining death as a natural event in life. Many times family members, friends and other pets in the household will want to have their final goodbye with your pet too. Pets touch so many people during their short lives with us. Allow those around you the opportunity to come together, pay their respects, and support each other. (Please know that our staff has been trained in the proper procedures and care techniques to ensure that your pet is groomed and presentable for the Final Good-Bye). Many families also wish to have a remembrance service, where family and friends can come together to pay their respects, and support you in your loss. Just like the decisions you made earlier, making a decision about memorializing your pet is a very personal process. Your final selection should reflect the life shared with your pet, your life style, your personal style, and those "little things" which reflect your pet's unique personality. 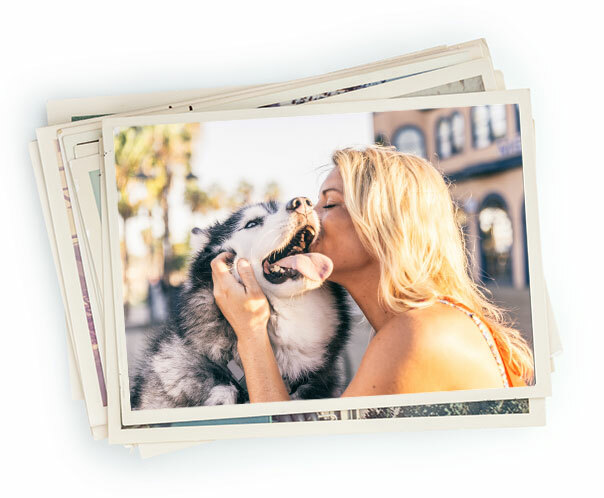 Pet Tales is an online pet obituary that is designed for you, the pet parent as a way to honor your pet's life and share their story with others. By sharing a Pet Tale you will not only embrace the memories of your pet but you will create a permanent place for yourself, your family and your friends to return to as you remember your faithful companion that brought so much happiness. Their story may be shared with words, pictures, video and music and will be displayed on our website and nationally for other pet lovers to see and read at national.PetPassages.com. Please feel free to add a Pet Tale at your convenience or we would be glad to help you. Guiding you through the loss of your pet… because your pet is part of the family.